Stay tune for new offers and releases soon! I´m very happy o announce the Calipers Master v2 release! To celebrate it i´m sharing with all of you this special coupon discount to use for a limmited time. In this video you will see how fast and easy is to create hollowed models in ZBrush using Calipers Master unofficial plugin. Set a Caliper to depict the polygon size you want the DynaMesh to have and press Calibrated DynaMesh button. 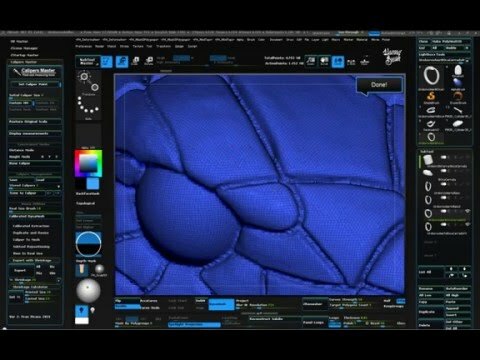 In this short video i will show you how to create rings very fast using ArrayMesh in Zbrush 4R7.